Everything You Need to Begin Notebooking Super Set! We are SO excited to be able to introduce our NEW Ebook Set! Yep! Our best-selling NOTEBOOKING! YES! 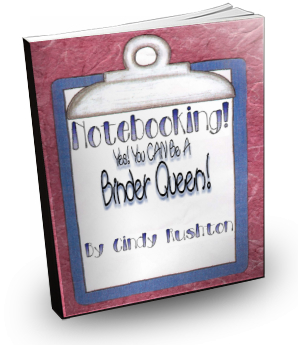 YOU CAN BE A BINDER QUEEN TOO Ebook AND our Make Your Own Notebook Sets are all available in one COMPLETE set of E-books! It is EVERYTHING that you need to get started notebooking TODAY! Need ideas for encouraging your young writers and QUICK? Ready for a FUN way to encourage your most reluctant writer to write AND like it…well, become ADDICTED to writing??? 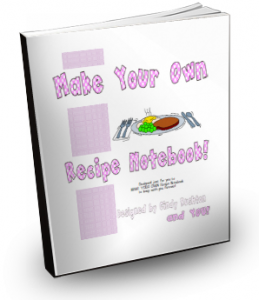 You will LOVE Notebooking! Notebooking is JUST what you have been looking for! Cindy Rushton, who has become known as THE BINDER QUEEN, uses Notebooking for EVERY subject in her homeschool! She will show you how to begin whether your child is a toddler or the most skeptical high schooler. AND…she will take your hand as she walks you through notebooking each subject! 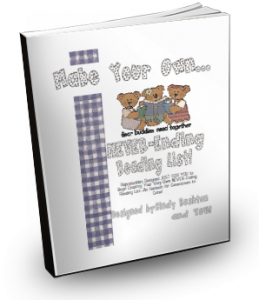 Cindy’s NEWLY UPDATED BOOK is the most in-depth resource available to help your children deepen their studies and document learning all along the way! Of all of Cindy’s books, this one is sure to help you with any area of study that needs a little life! But…there is MORE! This set includes everything that you need to get started notebooking OR to make your notebooks even greater! Don’t miss this set!! Notebooking! Yes! You CAN Be a Binder Queen Too! (regular retail $30.00) NEWLY REVISED! Not only does it include twice as many chapters–with even MORE help for Our NEWLY REVISED Notebooking Book includes the following chapters: Notebooking! Ready to Get Addicted?? ?,Confession Time…, Ready to Evaluate, Why Notebook?? ?, Where On Earth Do I Begin?? ?, Down to the Nitty-Gritty…What Do I Need?? ?, What Goes Into a Notebook?? ?, Ideas, Ideas, Ideas…There’s Gotta Be ONE For You!, Hummm…Just In Case Your Need a Bit MORE Help!, Hey! What On EARTH is Copywork?? 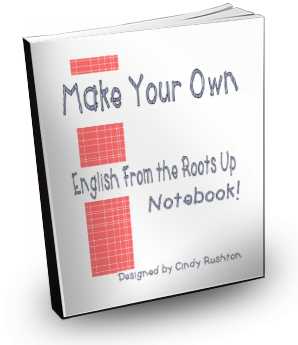 ?,Cute Notebook Themes Using Your Copywork!,So…Just WHAT IS Narration?, Soooo, What If?? ?, Slow and Steady! Understanding the Process of Learning, Some Quotes From Long Ago About Notebooking, Tips for the Stressed Out Mom!, Some Great Resources to Help Build Those Notebooks!, Need Forms for Your Notebooks??? Look Into These Resources! ALL Chapters completely revamped and expanded! Ready to addict YOU and YOUR FAMILY to notebooking! Notebooking! Yes! 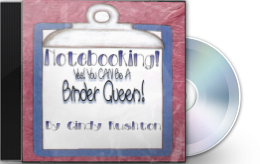 You CAN Be a Binder Queen Too COMPANION CD! Calling all little ones(and big ones too!)! This special ebook is JUST FOR YOU! This book is set up so YOU can make your own Alphabet Notebook. 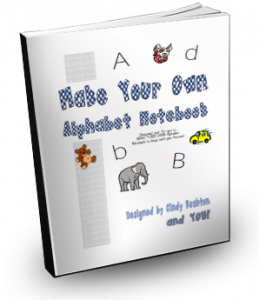 Pages include an introductory page for each letter of the alphabet. Either add pictures, your drawings, or words that contain that letter in the space provided. Pages are also provided with lines for you to practice writing each letter OR you can add a listing of words that contain examples of the letters in the words. (example: for T-Todd; t-toad) Do note: There is no right way or wrong way to use these reproducibles! Well, the only wrong way is to NOT use it. And the right way is to have a blast using it! 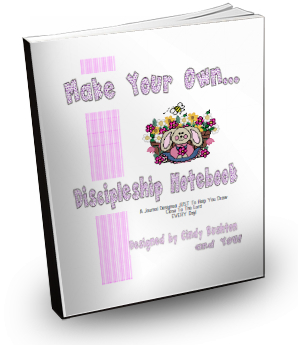 This notebook pack is written by YOU…JUST so you can share this book with your book with all of your family and friends. 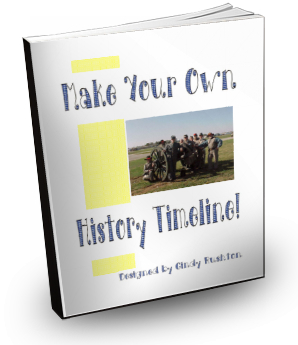 Ready-to-print History Timeline Notebook pages! 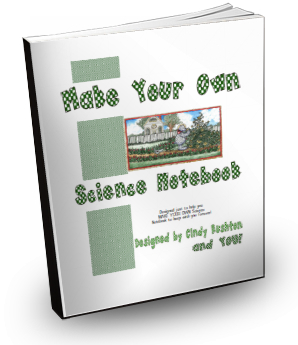 Includes instructions, ideas for easy implementation, pages for history to date (in 110lb. Cardstock), divider pages in bright 110lb. Cardstock, and even a sample page from Matthew’s Timeline Notebook. PLUS! A FREE Bonus copy of Cindy’s NEW Ebook Let’s Make a History Timeline Notebook! 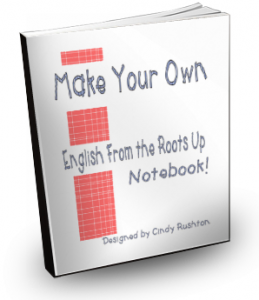 with full instructions and ideas for making your own timeline notebooks. 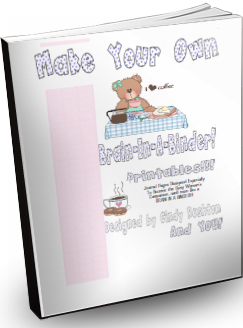 Our Make Your Own Brain-in-a-Binder Planning Printables! At Last! Our new MAKE YOUR OWN BRAIN-IN-A-BINDER PRINTABLES is now available as an E-BOOK…AND that is not all! Part of this set! A treat JUST FOR YOU!!! PLUS! Our best-selling book, Let’s Get Organized! That’s Not ALL! Even MORE Bonuses! With every purchase of this Ebook Set, you receive 3 Online Audio E-Workshops to listen to at your convenience! Language Arts The Easy Way! Want to Order??? Order Online Now!! EVERYTHING YOU NEED TO BEGIN NOTEBOOKING EBOOK SET delivered within 24 hours to YOUR email box!! Everything You Need To Begin Notebooking E-Book Set - Order with a Friend! Want to order with a friend? SURE! We are offering our Ebook for a SUPER SPECIAL when you buy one for yourself AND a friend! BUY ONE-GET ONE HALF OFF! Just order BOTH for $150.00. We will need for you to make a note that you are taking advantage of our BUY ONE-GET ONE HALF OFF DEAL. 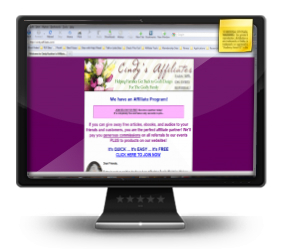 Include email addresses for both recipients! You will bless your friend AND yourself! We are SO excited to be able to introduce our NEW Ebook Set! Yep! Our best-selling NOTEBOOKING! YES! 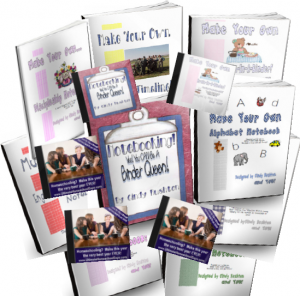 YOU CAN BE A BINDER QUEEN TOO Ebook AND our Make Your Own Notebook Sets are all available in one COMPLETE set of E-books! It is EVERYTHING that you need to get started notebooking TODAY!